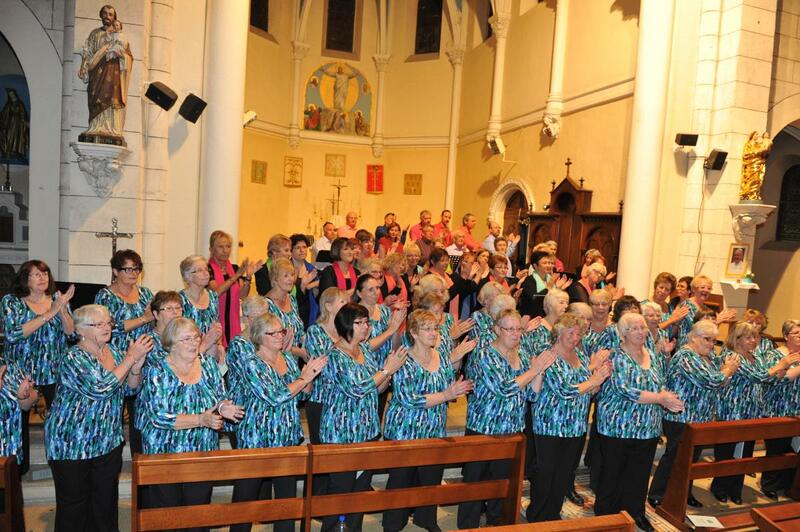 Choristers and guests, accompanied by Musical Director Lynne Kelleher and Accompanist Jill Williams, recently undertook a successful tour to Sanguinet, France. The tour party was overwhelmed by the welcome extended by Sanguinet’s choir ‘La Voix de Losa’ and the twinning committee. After being greeted at Bordeaux airport by Rachel Tomasini, Sanguinet twinning Chairlady and Maithe Charbonnier, Chairlady of La Voix de Losa, the party prepared for an intense week of concerts, soirees and official visits. After attending a morning service at St. Sauveur Church the group were invited to meet the Mayor of Sanguinet for an official reception and refreshments, where gifts were exchanged. Noreen Hadfield, choir Chairlady presented the Mayor with a book on the history of Neyland on behalf the author Simon Hancock, Mayor of Neyland and choir president. 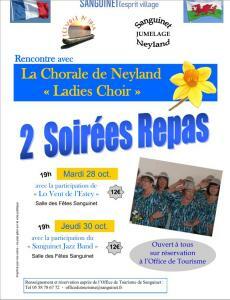 Later that day the choir received rapturous applause at a concert in the church where the stage was shared with La Voix de Losa and the evening ended with a reception hosted by the French choir. Interesting visits to two vineyards in St Emilion were arranged and the group were able to enjoy seeing the chateaux and the countryside of the Bordeaux region followed by an evening soiree hosted by the Mayor of Sanguinet and the twinning committee with entertainment by the Sanguinet Jazz Band. 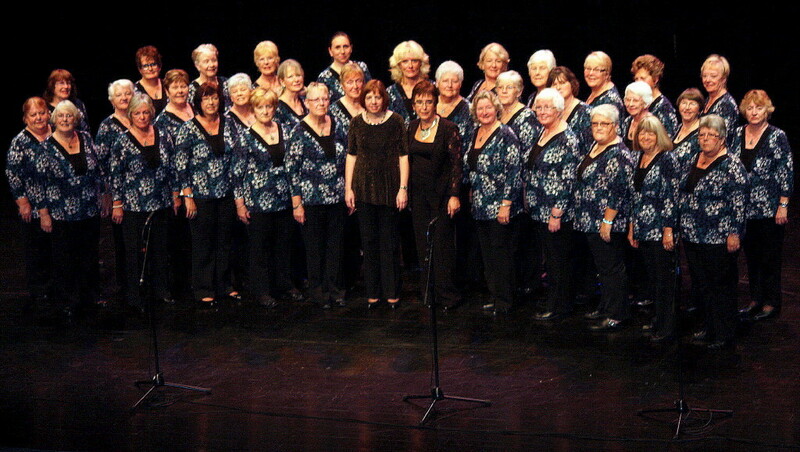 The final concert in Biscarrosse Theatre was arranged by the choir ‘Desordre Vocal’ and La Voix de Losa, and Noreen and Trish Campodonic were asked to attend an interview for the local radio station FGL as part of the promotion for the concert. The concert was enjoyed by a packed audience and the evening ended with the three choirs joining together to sing ‘All Through the Night’ in Welsh, English and French. 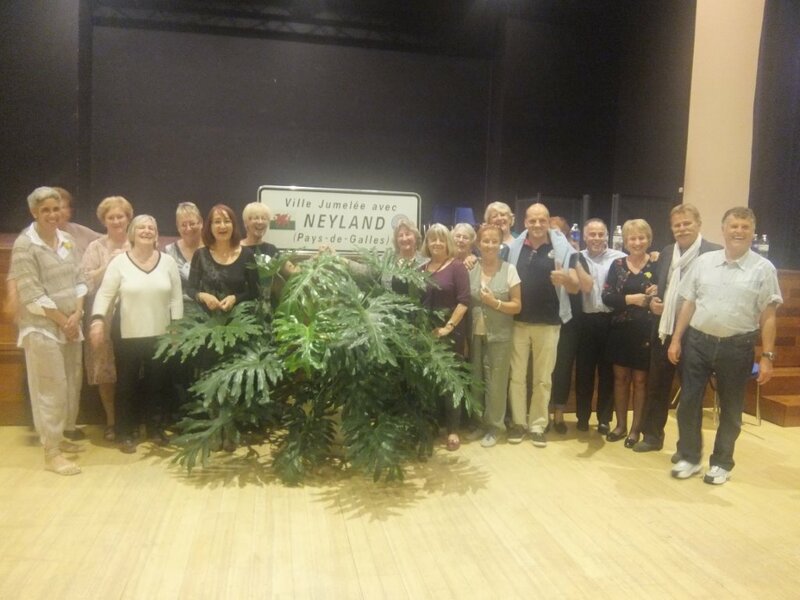 Afterwards a reception was hosted by the choirs when Noreen thanked everyone for the warm welcome extended to the tour party and hoped that the friendships made will last for many years to come. The hospitality the group received was overwhelming and so much effort had been put in to the planning of the week by both the choir’s tour committee and the contacts in France. The weather was exceptional for the time of year and this could only add to the enjoyment of everyone. Noreen presented the two main contacts, Rachel and Maithe, with copies of Simon’s book by way of thanks for their help in the planning of the visit. The tour party returned home tired after an exhausting week but with fond memories of a very successful trip to their twin town. This entry was posted in Community news on November 11, 2014 by admin.